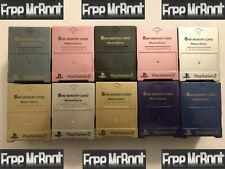 Cards work with all Sony Playstation 2 systems. PlatformSony PlayStation 2. It can provide larger storage capacity and faster access rates Storage Capacity128MB. · Material: Plastic. We are alwayswilling to work things out. However, FMCB will not work with SCPH-9xxxx consoles With DateCode 8C or later (see info below) or any Consoles With Bios Version 2.30 and Later. MagicGate is an Official Sony Product. Disk Users SNES (SNES Station, USB version.). 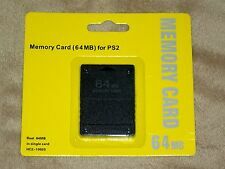 8MB, In Retail Packaging. Thank you for looking. SNES (SNES Station, USB version. Also includes ). New without retail packaging. 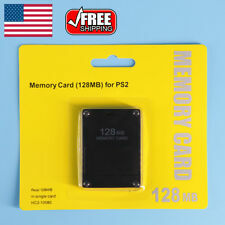 128MB. We do have other sizes available if you need a different size. Thank you for looking. Free Shipping. Console-like features of the VMU include a small black and white screen, speaker, directional pad, and four buttons. NON CONTINENTAL USA AK / HI / PR / APO / FPO / & OTHER US TERRITORIES. How the FMCB works?. You will have to patch the ISO before buring to disc. ESR beta r9b( Launch Disc). No region limited, compatible with all console except MODEL SCPH-9XXXX with 230 BIOS. USB Advance. Trending at $14.49eBay determines this price through a machine learned model of the product's sale prices within the last 90 days. By Old Skool. It is Incompatible with Newer Version Systems. Our sales manager will leave you positive feed back once you have left positive feed back for us. High Speed and Efficient Product. It can provide larger storage capacity and faster access rates · Material: Plastic. The Office: Dwight Schrute Bobblehead In Original Box. Bluetooth Remote & Mic Cable Shure RMCE-BT1 for SE215 315 535 or MMCX Plug. Easy to use, and plug in and play. You will get 1 at random. Each card has been tested for functionality. Model: SCPH-10030 GB. You may also like. Color: Black. Condition: New. Storage capacity (16GB) for storing essential digital content such as high quality photos, videos, music and a lot more. Optimal speed (Class 4) and performance for micro SDHC compatible devices. Easily transfer files between your digital devices and computers. Just insert SD Card, Install Channels & Play! No problem! SD Card only opened to load content & Test. Mario Kart Wii Retro Edition. Note:compatible on the Wii u. Wii Sports. This is the Ultimate Retro Gaming Collection with possibly the most complete collection to be made! Mario 64 Hacks. The Legend of Zelda Series Hacks. Super Mario RPG Hacks. Super Mario World Hacks. Chrono Trigger Hacks. Pokemon Series Hacks. Just insert SD Card, Install Channels & Play! Baby Introduction ②Color：White. ⑤Durable, compact design. Sony Playstation 4. Sony Playstation Vita. Sony Playstation 2. Sony Playstation 3. Flash Drives. Tablet Accessories. Generic Tablet Accessories. 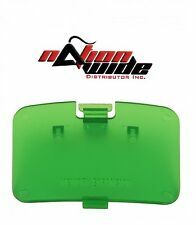 iPad Tablet Accessories. Must have HENKAKU or a VITA running firmware 3.60.3.70 . - Board thickness is 1.0mm. - Shockproof, Temperature-Proof, Magnet-Proof & X-Ray Proof. (Unless it is sold as "for parts or not working"). More information about your product. Nintendo 64 N64 System Memory Expansion Pack/Pak OFFICIAL/AUTHENTIC/OEM Tested! If that's the screen you get, this is the item you need. Item functions fine. Once the item leaves the USA it won't get scanned again. OVER 3000 SOLD! LARGE 16MB CARD! FAST SHIPPING! Platform:Nintendo 64. We will do our best to resolve any problems that may arise. TESTED AND WORKS PERFECTLY. NON CONTINENTAL USA AK / HI / PR / APO / FPO / & OTHER US TERRITORIES. WILL WORK FOR ALL SEGA DREAMCASTS MADE IN THE WORLD. Hi-resolution LCD screen. NON CONTINENTAL USA AK / HI / PR / APO / FPO / & OTHER US TERRITORIES. New without retail packaging. 512MB. We do have other sizes available if you need a different size. Thank you for looking. Free Shipping. Compatible with: Nintendo Wii. We want you to be totally satisfied with your order. Product Image. Color: Gray. Condition: NEW. Cleaned and tested. In great working condition. We will be happy to resolve any issues you may have in a cordial and friendly manner. I will take full responsibility.